Optus Telecom, Australia Likes GeoTools!! Optus Telecom, Australia likes, endorses and recommends GeoTools for AutoCAD & Bricscad for their Survey / Drafting sub-contractors. Optus Telecom is a leading provider of telecom services in Australia. They, along with their sub-contractors have been a user of GeoTools software for AutoCAD for many years. Recently, they switched over to dual-CAD platform use and now use .DWG-compatible Bricscad software along with AutoCAD and AutoCAD Map. GeoTools is used by Optus and their contractors both on AutoCAD and Bricscad. Having been one of the power users of GeoTools, Optus and Four Dimension Technologies /Coordinate Systems have had a very close relationship. We thank Optus for some really valuable feedback and ideas which have resulted in some major enhancements, new commands and fixes in GeoTools. This has helped to grow GeoTools and make it a robust application that it is today. Ray Moran, Manager (Network Records), Optus Australia has this to say: "I am happy to approve a public recommendation. Optus endorses the use of AutoCAD/Bricscad 3rd party productivity tools such as GeoTools for our Survey/Drafting Contractors. We constantly look at ways to make it more efficient for contractors to draft network design drawings that meet our Company CAD Standards. Time and again, we find that GeoTools provides functions that meet those requirements to create and update drawings. Usually the function we want is available in GeoTools. On occasions where we can’t find a function that we feel would be beneficial to ourselves and the CAD community in general, we send a request to the folks at Four Dimension Technologies and these useful CAD functions are created and included in the next release." "We use most functions in Extended Entity Data section and the AutoCAD Map tools. These tools help greatly where we get data from various GIS or GPS datasources. We have to clean up this data ready and convert it to Xdata to enable us to import it into our Corporate GIS." Pipe Hangers & Supports Pvt Ltd., based in Chennai is India's leading manufacturer of spring hangers, pipe supports and accessories. Over the past 25 years, their products have been supplied to major power plants, refineries, nuclear installations & process industries in India and overseas. PHSCAD is a comprehensive CAD application created by them for creating pipe supports, spring hangers, joints, fixtures and accessories. The entire design process of the company is captured in this software and automated using the PHSCAD application, which was running as an add-on application in AutoCAD. PHSCAD also provides a vast library of structural steel fittings like angles, beams, channels etc conforming to various standards like Indian, BS, ASTM, JIS and European standards. 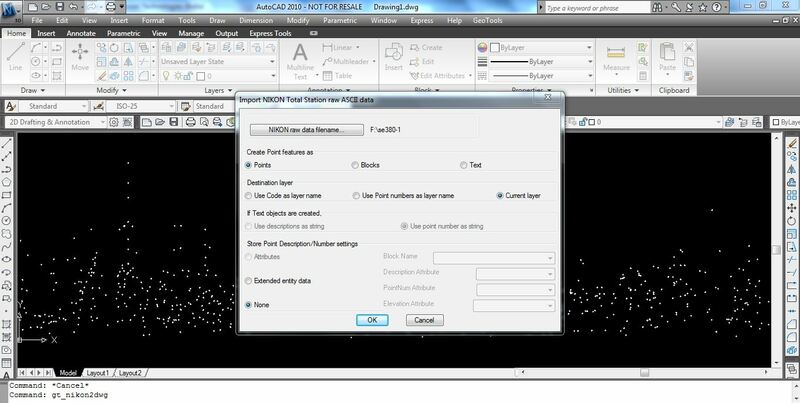 In 2010, the director, Mr. M. Rajagopal wanted to explore alternative CAD platforms, based on the .DWG format, and offering compatibility with AutoCAD. We suggested Bricscad as the alternative. The first question that was asked was - Will PHSCAD work in Bricscad?. The answer was an easy 'Yes'. Bricscad offers 99%+ compatibility with AutoCAD at the API level. PHSCAD is an application written entirely in Lisp and there was no problem in ensuring that the same ran in Bricscad also. The whole effort of ensuring that the code loads in Bricscad, displays the same user-interface, and creates the same output took us not more than a couple of days of testing. Today, PHSCAD application runs in Bricscad just as fine as in AutoCAD and Pipe Hangers and Supports are using Bricscad alongside with AutoCAD. “Going forward, I see a good possibility to lower CAD budget significantly by deploying Bricscad seats instead of AutoCAD. A Bricscad license is cost-effective, easier to justify and above all, we are happy with the personalized support provided by Bricsys India, represented by Coordinate Systems. The other advantage is that Bricscad is a fully enabled CAD platform, including the ability to run Lisp/VBA etc , unlike an AutoCAD LT. That makes it all the more attractive. ", said Mr. M Rajagopal, Director, Pipe Hangers and Supports Pvt Ltd.
PHSCAD Main menu and toolbars in Bricscad. PHSCAD Menu showing the entire selection of Indian Standard Steel Sections. We have released a couple of GeoTools updates in the last week or two. *** New command added: GT_NIKON2DWG : GeoTools -> Export Tools -> Import a NIKON survey device raw file : This command has been created based on a sample data from a NIKON device that we received. This is still a work-in-progress command. If you encounter difficulties, do please get in touch with us for support and help. The GT_SEGLABEL command now has a new option to do bearing annotations. It is the degree-minute-second format in the style D°M'S". This has now been addded to complement the other available styles. Another addition is the 'Bearing@Distances' option. ** Enhanced command: GT_SET_Z_PL : GeoTools -> Drawing Cleanup -> 'Set out-of-range elevation values to nearest valid elevation values' : The GT_SET_Z_PL command has been modified and a new option has been added to delete the vertices of a 3d polyline which are 'out-of-range'. You now have the combined option to setting the 'out-of-range' elevations to their nearest valid value or simply delete that vertex. *** New command added: GT_DELETELAYOUTS : (GeoTools -> Miscellaneous Tools -> Delete paper-space layouts): The GT_DELETELAYOUTS command will present you with a list of all paper space layouts and you can select multiple layouts and delete them in one go. ** Enhanced command: GT_PROFILE : GeoTools -> Civil Tools -> Draw cross-sectional profiles: The GT_PROFILE command now accepts multiple 3d polylines for profiling. This will speed up profile generation when you want to generate mulitple cross-sections in one go. ** Enhanced command: GT_TRIANGULATE : GeoTools -> Civil Tools -> Create TIN (Delauney triangulation): The GT_TRIANGULATE command now allows you to specify the layer in which the TIN triangles are created. ** Enhanced command, renamed description : GT_SET_Z_PL : GeoTools -> Drawing Cleanup -> 'Set zero elevation vertices to nearest valid elevation values' : has been renamed as 'Set out-of-range elevation values to nearest valid elevation values'. The command name stays the same - GT_SET_Z_PL. In this new, enhanced mode, the command provides a dialog box interface and the option to specify an 'out-of-range' value. It need not be only 0.0 like before, any value can be specified as the 'out-of-range' limit and all values below it will be replaced with the nearest 'in-range' value. The change in the command description reflects this. *** New command added: GT_HATCHAREA : (GeoTools -> Miscellaneous Tools -> Report areas covered by HATCH objects): The GT_HATCHAREA command produces a report of selected hatch objects. It shows the area covered by each class of hatch pattern as well as number of hatch objects in each pattern, and additional information about solid/gradient hatches, color tones etc. More hatch analysis and reports may be added in the future. Suggestions welcome.